Wireless access points provide wireless internet to homes, offices and outdoor areas, much like wireless routers. However, unlike wireless routers, access points are superior at eliminating dead spots and provide a seamless network that performs much better than the standard router. Choosing the right access point for your network might be intimidating, but with the right information, the decision can be easy. Our team’s research focuses on identifying wireless access points in categories such as outdoor use and travel. Our reviews also identify key considerations such as performance, ease of use and other features that can help you make a good purchase decision. Read more about our methodology. High performance, reliability and the versatility to use the device indoors and outdoors makes the UniFi UAP-AC-PRO the best pick for wireless access points that we reviewed. It's sleek profile also makes this an attractive choice to install in any home or office. Incredibly easy installation and network management make the Securifi Almond an excellent choice for consumers looking for a reliable wireless access point. It also features compatibility with smart home devices and multiple modes of operation for the greatest level of flexibility and ease of use. Finding a reliable wireless access point on a budget can be difficult, especially in a world of increasing technological capabilities and features. As a result of our research, we found the Mikrotik RB951G-2HND to be the best budget wireless, due to its reliability and high performance at such a low price. The Ubiquiti UniFi UAP-AC-LR is a high-performance, dual-band router that provides plenty of coverage. An above-average range, compact size and easy installation come together to make this a great wireless access point for a home or office. 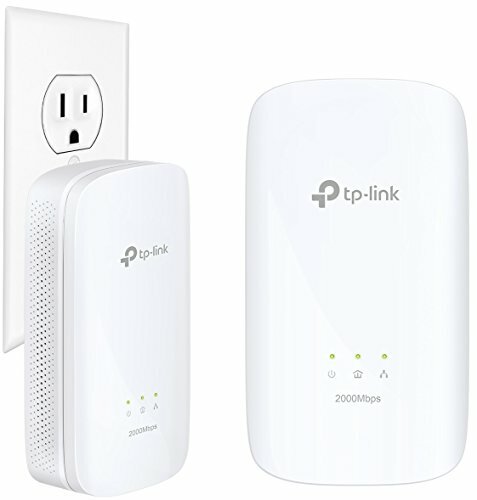 Travelers, look no further than the TP-Link N300 for your mobile wireless access point needs. 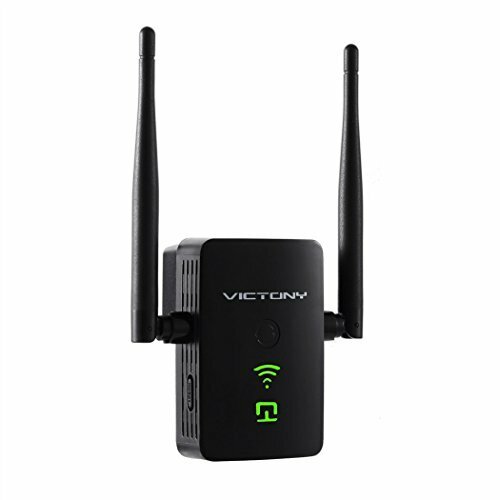 This little access point is versatile, compact and durable, making it the perfect choice for the consumer on the go. The EZ-Bridge-LT+ is a weather-resistant, long-range (up to three miles) wireless access point that is perfect for outdoor use. It's simple to set up and offers a high level of security. When it comes to wireless access points, the most important consideration should always be how well they perform with your internet service. 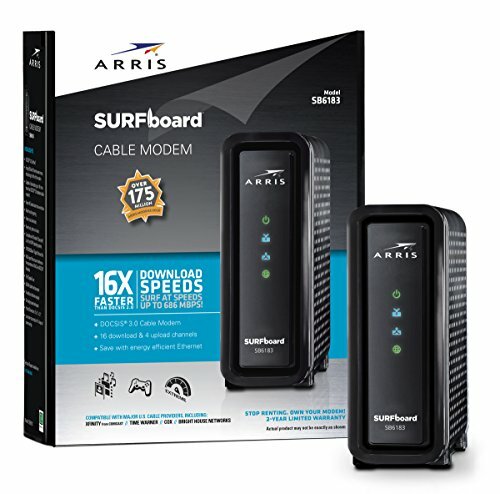 If you pay for high internet speeds, you should purchase an access point that can handle those speeds. Wireless access points typically have either a single-band or dual-band configuration, offering either a single 2.4 GHz band or both a 2.4 GHz band and a 5 GHz band. Access points with a dual-band configuration typically perform better than single-band configurations. Performance can also include how much range the access point provides. Wireless access points are often intimidating because of how much technical knowledge is required to completely set up and customize large networks using them. However, as technology advances, wireless access points are becoming easier to install and configure. Depending on the IT resources available to you, consider how easy the wireless access point you purchase is to install and customize. If you have the technological know-how, you may want to purchase a more complicated option that allows you greater customization options. If you want to use your wireless access point outdoors, you’ll need to consider options that are rated for outdoor use. Outdoors wireless access points are often weatherproof and more durable than units only meant to be used indoors. Some access points can be used both indoors and outdoors, giving you more options for extending your network in the most comprehensive way possible. Configuring your network using wireless access points should be easy, especially if you’re using them for a home network. Many devices include simple user interfaces on the web or through mobile apps. If you don’t want to spend a lot of time configuring your network, try to choose a wireless access point that comes pre-configured. As previously mentioned, advances in technology are making wireless access points more accessible to the general public through easier user interfaces. For under $100, you can purchase a budget wireless access point. These units are simple and perform well enough for small networks. Typically, these access points only offer a single-band configuration. In the $100-$200 range, you can purchase a wireless access point that will fill the needs of most home and business networks. These devices often offer the most recent technology with dual-band configurations and easier user interfaces. Finally, you can purchase enterprise-level access points for more than $200. When you spend this much, you can expect wireless access points that perform exceptionally well and have higher ranges. Products in this range may also come in multi-packs for more expansion. The Ubiquiti UniFi UAP-AC-PRO offers enterprise-level performance and reliability at consumer prices. With a dual-band configuration and the ability to be used indoors or outdoors, this wireless access point is a great choice for users who need flexibility and performance. Reliable and stable performance. The UniFi UAP-AC-PRO was made to be stable and reliable for users connecting to a network, regardless of how many. The product uses 3x3 MIMO technology and three high-performance, dual-band antennae to provide reliable internet connection, ranging in speeds up to 450 Mbps on the 2.5 GHz band and up to 1300 Mbps on the 5 GHz band. This makes the access point a reliable choice for installation in both homes and businesses. PoE power injector included. PoE, or Power over Ethernet, is an important feature for products like wireless access points to include, because it allows them to be powered via Ethernet cable, instead of an outlet. The UAP-AC-PRO is 802.3af PoE/802.3at PoE+ compatible and includes a PoE power injector. The power injector plugs into a standard wall outlet and you plug the Ethernet cable into the injector. This gives you the flexibility of installing the unit in the ceiling without worrying about having a wall outlet close by. Can be used indoors and outdoors. When using wireless access points, you’ll want connectivity wherever you go in your home or business, including indoors and outdoors. The UniFi UAP-AC-PRO is weatherproof, allowing you to install an access point outside to provide more connection options for people using your network. Doesn’t require a controller. Many enterprise-level wireless access points require the use of a controller to manage the network provided through access points. This is typically a separate device that connects to all of your access points. The UniFi UAP-AC-PRO doesn’t require the use of a controller, which means you have one less piece of hardware to manage. Difficult setup. If you aren’t familiar with using wireless access points, the setup process can be difficult. The Securifi Almond is the easiest wireless access point to use that we researched. With a simple touchscreen and mobile controls, you can easily manage this wireless access point. The unit is also compatible with smart home devices, making it easier for you to create an immersive and comprehensive network solution for your home or office. Incredibly simple setup. Getting set up with a home or office network can be complicated, and many wireless access points are difficult to install. The Securifi Almond is the first wireless access point to include a touch screen directly on the unit, which makes for a setup time of under three minutes. A multitude of users reports that the installation process is one of the unit’s best features. Multi-purpose use for more versatility. The Securifi Almond can be used for a variety of purposes in your home or office. You can use the unit as a wireless access point, range extender, wireless router or wireless bridge. 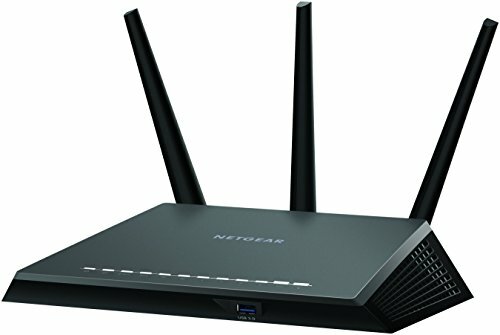 It’s also compatible with any existing router you may have installed already, making it more flexible than most wireless access points on the market. Compatible with smart home devices. Smart homes are becoming more prevalent than ever, which has also led to people needing more devices to manage everything in one place. The Securifi Almond is compatible with smart home devices such as Amazon Alexa, giving you greater control over all the smart devices in your home. Intuitive mobile controls. Configuring and monitoring your network is made easy with the Securifi Almond. The intuitive mobile app is easy to use and allows you to see who is accessing your network at any given moment, as well block devices and set schedules for devices on your network. Lower range. The Securifi Almond does have a lower range than many other models, making it better suited for smaller spaces. Customers on a budget will be pleased with the Mikrotik RB951G-2HND’s performance and price. With high performance and an in-depth user interface, this wireless access point provides a flexible and comprehensive solution for simple networks. High range and reliable connectivity. 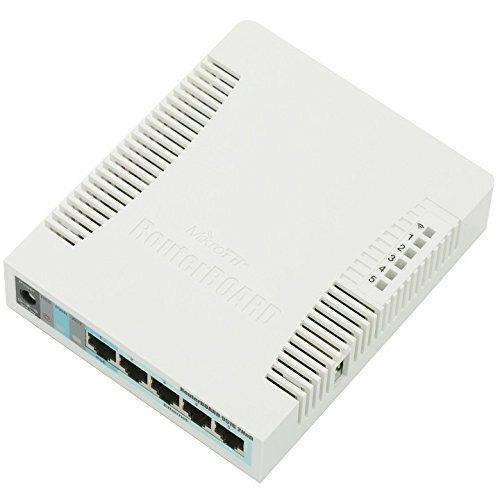 The Mikrotik RB951G-2HND is built for range and great connectivity, even in spaces with lots of obstacles. 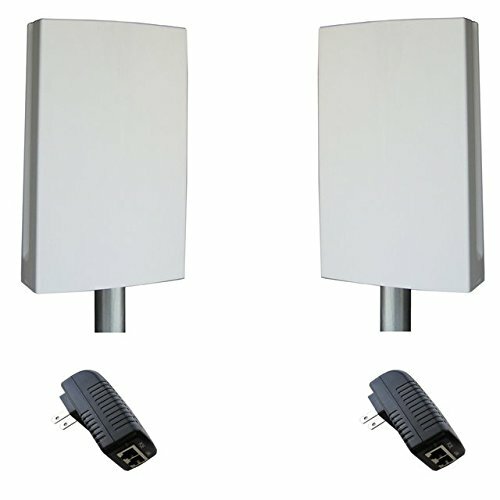 Many users rave about the range of this wireless access point, indicating that they are able to still get strong signals through multiple walls. Mikrotik access points are also known for reliability, hardly ever dropping signal or needing to be restarted. High number of Ethernet ports. 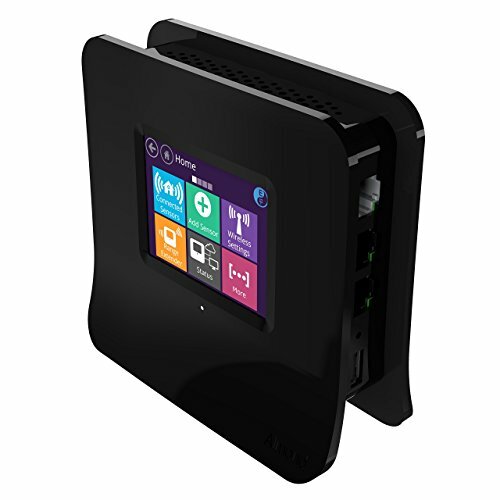 You can connect up to five different devices to this wireless access point using the five available Gigabit Ethernet ports, and the unit even includes a USB 2.0 port for more flexibility. 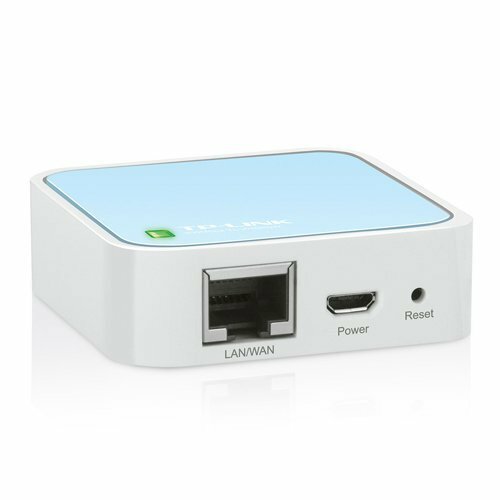 The first port is a PoE, or “Powered over Ethernet” port, which allows you to use an Ethernet cable to power the unit. Software is loaded with extra features. The Mikrotik RB951G-2HND uses RouterOS to configure and control the finer details of the wireless access point. The software is in-depth and highly customizable. While there is a learning curve to the software, it’s useful and loaded with extra features to help you fully customize your network. 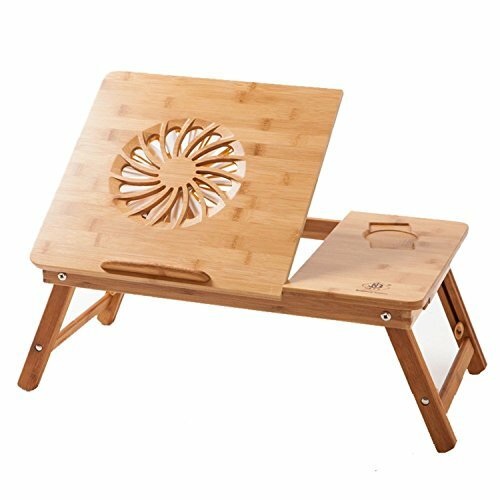 Small, versatile and sturdy design. Measuring in at only 8 inches long and 6 inches wide, and weighing in at 12 ounces, the Mikrotik RB951G-2HND is one of the smaller wireless access points on the market. It’s also built from a sturdy plastic that’s able to withstand some rough and tumble, which only adds to its durability. Doesn’t include 5 GHz band. This Mikrotik wireless access point doesn’t include a 5 GHz band, which can lead to slower speeds, especially if you have newer wireless devices that can use the 5 GHz band. If you’re looking for a long-range option, look no further than the Ubiquiti UniFi UAP-AC-LR. This wireless access point offers throughput ranges of up to 600 feet and provides high levels of performance using a dual-band configuration. The unit also includes a PoE injector so you can easily install it anywhere in your home or office. Great throughput at longer ranges. The Ubiquiti UniFi UAP-AC-LR is made for long-range performance. The unit uses high-powered internal antennae to provide a range of up to 600 feet. This is significantly higher than most wireless access points on the market today. Small and compact for easy installation. The UniFi UAP-AC-LR measures in at 7 inches long and 7 inches wide with a low profile. This compact design makes it ideal for installation on the ceiling, where it sits almost flush. Many users praise this compact design, stating that they hardly see the unit anymore. When you do see the unit, it’s sleek and attractive, making it a great choice for any home or office environment. High-performance dual-band connectivity. Performance is always a key factor for wireless access points, and the UniFi UAP-AC-LR provides a dual-band configuration, with both 2.4 GHz and 5 GHz bands. The 2.4 GHz band allows speeds of up to 450 Mbps, while the 5 GHz band allows for speeds of up to 867 Mbps. PoE injector included. Power over Ethernet, or POE, is essential for versatile installation of wireless access points. PoE means that you can power the unit via an Ethernet cable, instead of the standard power adapter. Most wireless access points can be powered this way, but require you to purchase a PoE injector. The UniFi UAP-AC-LR includes a PoE injector with the device, taking away the extra step of finding a third-party option. Difficult to set up. 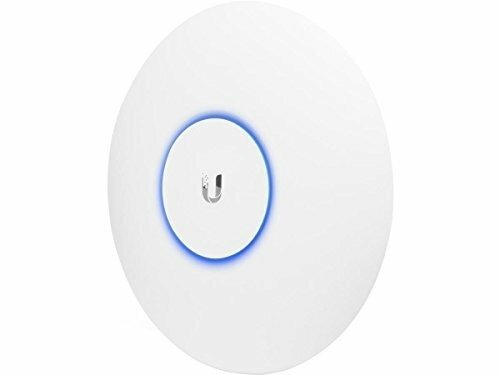 Wireless access points, in general, can be difficult to set up, but the Ubiquiti UniFi UAP-AC-LR can be more difficult than most. If you aren’t technically minded, you may need some extra help to get this up and running. Connecting to the internet while you’re traveling can be an ordeal. Hotel WiFi networks are often unreliable and limited. Sometimes you can’t access any internet during your travels. Wireless access points for travel give you more ways to connect when internet options are otherwise limited. These units are also small and compact for greater portability. The TP-Link N300 is a small, compact wireless access point that is the perfect choice for travelers. It can be used in a variety of different modes based on the situation in which you find yourself, and it provides a respectable level of performance, especially for how small it is. Finally, it’s easy to use and set up, allowing you to get connected faster. High speeds. For such a small device, the TP-Link N300 can sure pack a punch. It uses a single 2.4 GHz band to provide speeds of up to 300 Mbps, giving you all the speed you need to stream movies, play games or surf the web while you’re on the go. Quick setup and easy use. Setting up the TP-Link N300 couldn’t be easier. All you need to do is plug it into an Ethernet port and turn it on. The access point comes pre-encrypted with an SSID and password so you don’t need to fiddle with customization before getting connected. Multiple modes for greater flexibility. This wireless access point provides four different modes of use: router mode, access point mode, client mode, repeater mode and WISP mode. In router mode, you connect the device to your modem and get a WiFi signal. In access point mode, the unit provides WiFi from an otherwise wired network. The unit can connect to a WiFi-enabled TV or game console in client mode. Repeater mode allows you to extend your existing WiFi network. Finally, WISP mode allows you to connect multiple devices to the WiFi while the provider only sees a single device connected. More modes of operation give you greater flexibility while you’re traveling. Long warranty and great customer service. Using a wireless access point for traveling can put a lot of stress on the unit itself, which can lead to shorter lifespans. However, the TP-Link N300 has a two-year warranty, which is longer than most wireless access points warranties. Customer service is also available 24/7, in case you run into problems while you’re on the road. No 5 GHz band. The TP-Link N300 doesn’t offer a 5 GHz band, which means you will lose out on higher speeds offered by newer devices. Wireless access points are all about versatility, and sometimes, your networking needs call for outdoor network connectivity. This may be because your office has an outdoor seating area that your employees use regularly and you want to give them internet access. Or you may want to extend your home network to include a detached garage or workshop. Wireless access points for outdoor use are durable and weatherproof, and they should often be easy to install. Outdoor applications of wireless access points can be widely varied, which means that wireless access points for outdoor use need to be just as flexible. The EZ-Bridge-LT+ is versatile and durable, making it the perfect choice for outdoor applications. It offers a huge range and provides a simple, plug and play installation process. Incredibly long range. The EZ-Bridge-LT+ takes its name seriously and creates a bridge between two different areas with an incredibly high range of up to three miles, as long as the two units have a clear line of sight between each other. 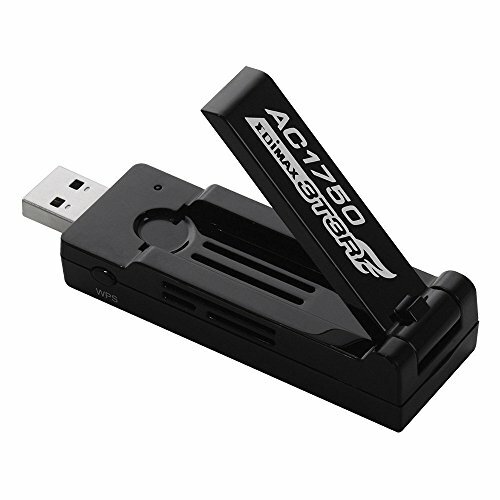 This allows you to easily provide network connectivity without having to run miles of Ethernet cable or paying for a second, separate network. Simple setup. The manufacturer says that the installation of this wireless access point is truly plug and play, and many users confirm the statement. All you need to do is unbox the product and plug it into a power source and you’re ready to go. While you can tinker a little more to tweak the settings to your liking, you don’t need to in order to get the access points up and running. Secure and safe. In today’s world of hackers and stolen data, security is incredibly important, especially if you’re providing a network to a completely separate building using one product. The EZ-Bridge-LT+ uses 64- and 128-bit WEP, WPA and WPA2 encryption, which are the most secure forms of encryption for wireless networks. Weatherproof and durable. This wireless access point was made to be installed outdoors, and as such, it is both weatherproof and more durable than most access points on the market. Software only works with Windows. The software for the EZ-Bridge-LT+ is only compatible with the Windows operating system. If you want to customize your access point further than the pre-configured settings, you will need a Windows computer.